In agriculture, construction and even military applications, pintle hitches are the trusted product of specialized towing. They are notorious for their high weight capacity and simple design. The basic pintle hitch is essentially a hook and loop, with the hook attached to the vehicle and the loop mounted on the trailer. Because of their simple design, pintle hitches are able to have thicker metal construction and more secure coupling. CURT has a wide variety of pintle hitches and pintle-style products to give you a complete solution for your heavy-duty towing needs. This adjustable pintle mount is designed to accept a bolt-on pintle hook or combination ball and pintle. 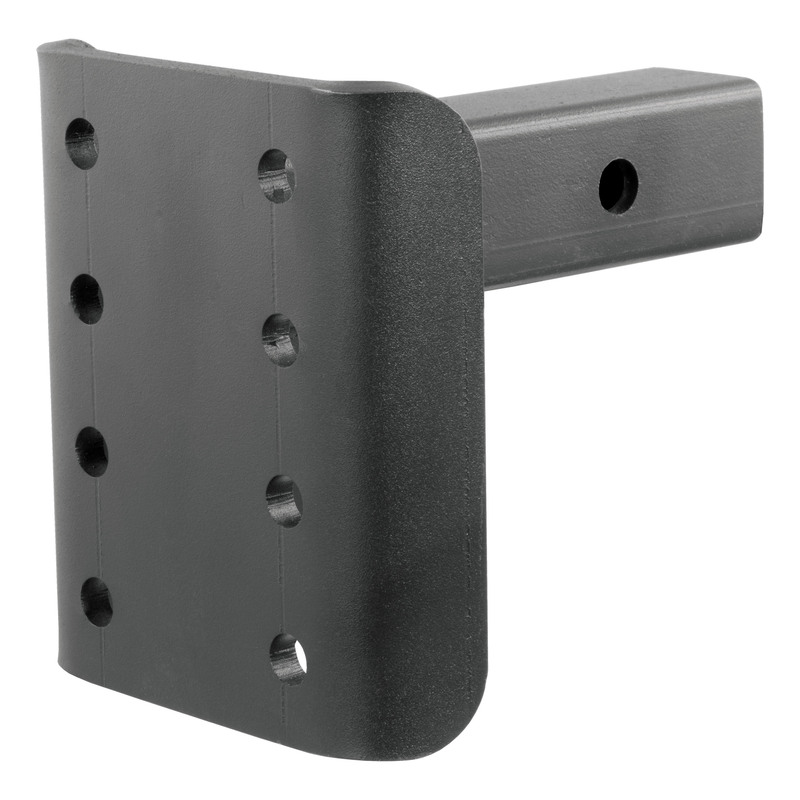 It features a series of mounting holes to provide three different mounting heights for the hook and can be mounted in any 2 Inch x 2 Inch receiver tube opening.